3. Wavelet-based Algorithms for Solving Diff. Eqns. 1. B.Sc. in Mathematics-Astronomy, Ege University, Izmir, Turkey, 1970 and Izmir Teacher Training College “L’Ecole Normale Superieure”. 2. Post-Graduate Study in Computer Sciences, Islamabad University, Islamabad, Pakistan,1974. 3. M. Sc. in Differential Equations, Inonu University, Malatya, Turkey, 1979. 4. Ph.D. in Functional Differential Equations, Inonu University and partially in Helsinki University of Technology Institute of Mathematics, Finland, 1983. 1. 1970 -1972 Mathematics Teacher in High School. 2. 1972 - 1974 RCD Scholarship holders for Post-Graduate Study, Islamabad University, and Punjab University, Pakistan. 3. 1974 - 1977 Computer Programmer, Ministry of National Education, Ankara. 4. 1977 - 1984 Research Assistant, Inonu University, Malatya. 5. 984 - 1988 Asst. Professor in Applied Mathematics, Erciyes University, Kayseri. 6. 1988 -1989 Visiting Professor, Eastern Mediterranean University, North Cyprus. 7. 1989 - 1996 Assoc.Professor in Applied Mathematics, Akdeniz University Antalya. 8. 1996 - 1998 Professor in Applied Mathematics, Akdeniz University. 9. Since September 1998 - ….Visiting Professor in Applied Mathematics, King Fahd University of Petroleum & Minerals, 31261 Dhahran, Saudi Arabia. (TÜBİTAK), M. Sc. Study, 1978-1979. Extension of the Hopfield Model, SAB/2004-46, 2004. 6. Theory and Applications of Difference Equations. 9. Theory of Differential and Functional Differential Equations. 10. Introduction to Wavelets and applications. 2. Asymptotic Theory, Oscillation Theory for ODE. 3. Mathematical Modeling Using Differential Difference Equations. 4. Approximate Solutions of Differential Equations using Spline Functions. 1. Editorial Member of The International Journal of Pure and Applied Mathematical Sciences (IJPAMS). 2. Editorial Member of The Global Journal of Mathematics and Mathematical Sciences (GJMMS. 4. Reviewer for Mathematical Review. 5. Reviewer for Computing Reviews. 6. Referee for Journal of Entropy and Information Studies. 7. Referee for Journal of Mathematical Analysis and Applications. 8. Referee for Journal of International Journal of Mathematics and Mathematical Sciences. 9. Referee for Arabian Journal for Sciences and Engineering. 10. Member of the American Mathematical Society. 11. Member of the Turkish Mathematical Society. 1. RCD Post Graduate Study in Computer Sciences, Islamabad University, 1972-74. 2. TUBITAK (Turkish Sci.& Research Council) M. Sc. and Ph.D. Grant,1978-83. 3. Research Grant from Government of Finland, Helsinki University of Technology Institute of Mathematics, 1982-83. 4. Research Study in Cluj University Faculty of Mathematics, Romania, 1987. 5. TWAS Research Grant, ICTP, Trieste (one month), 1989. 6. NATO ASI Summer School on Linear Systems, Pissa, Italy, 7-21 July, 1990. 7. The British Council Research Grant, Birmingham University Department of Mathematics and Statistics, 1991. 8. Research Study in Sofia University Department of Mathematics, summer of 1999 and 1994, (each of them with a period of three months). 9. Research Study in Cracow Technical University Institute of Mathematics, 1995, Cracow, Poland. 10. NATO ASI Summer School on The Solutions of Large System AX=B, 12-24 July, 1996, Las-Palma Grand Canaries, Spain. 11. Research Study in Oulu University Department of Mathematics December 1998. 12. Research Study in Adelaide University Department of Mathematics and Statistics July 5 - August 10, 2001. 1. First International Colloquium on Numerical Analysis, 13-17, August, 1992, Plovdive, Bulgaria. 2. Third International Colloquium on Differential Equations, 18-22, August 1992, Plovdive, Bulgaria. 3. Third International Colloquium on Numerical Analysis, 13-17, August, 1994, Plovdive, Bulgaria. 4. Fifth International Colloquium on Differential Equations, 18-22 , August, 1994, Plovdive, Bulgaria. 5. Organizer of the Workshop on Functional Differential Equations, 13-17 April,1995, Antalya, Turkey. 6. Organizer of the International Conference on Functional Differential-Difference Equations and Applications, 18-22 August 1997, Antalya, Turkey. 7. Organizer of the Workshop on Functional Delay Differential Equations and Functional Analysis, 2-7 February, 1998, Antalya, Turkey. 8. Biology and Mathematics of Cell Proliferation, June 4 -13,1997, Saint-Flour, France. 9. International Conference Functional Differential Equations, June 29-July 2, 1998, Ariel, Israel. 10. Organizer of the International Conference Biomathematics Bioinformatics and Applications of Functional Differential Difference Equations, July 14-19, 1999 Antalya, Turkey. 11. Third International Conference on Dynamic Systems and Applications, May 26 - 29, 1999, Morehouse College, Atlanta, Georgia, USA. 12. Mathematics and Design 2001: The Third International Conference, July 3 – 5, 2001, Deakin University, Geelong, Australia. 13. 19th Conference on Operator Theory, West University, June 27, Jul, 02 2002, Timisoara, Romania. 14. . International Conference: Wavelets and Splines, July 03-08, 2003, St. Petersburg, Russia. 15. Organizer of the International Conference:2004-Dynamical Systems and Applications, July 05-10, 2004, Antalya, Turkey. 16. International Conference on Differential Equations and Applications in Mathematical Biology, Malaspina University-College Nanaimo, British Columbia, Canada, July 18-23, 2004. 1. Dag Idris, Approximate Solutions of Differential Equations Using Spline Functions, Erciyes University, Faculty of Sciences Department of Mathematics, 1986. 2. Yesilkaya Aydan, Existence and Uniqueness Theorems for Differential Equations, Erciyes University, Faculty of Sciences Department of Mathematics, 1986. 3. Arslan Guvenc, Delay Differential Equations in Banach Space, Akdeniz University Faculty of Sciences Department of Mathematics,1994. 4. Guray Ugur, Numerical Solutions of Delay Differential Equations Using Difference Scheme, Akdeniz University Faculty of Sciences Department of Mathematics, 1996. 5. Yenicerioglu Fuat, Neutral Differential Equations, Akdeniz University Faculty of Sciences Department of Mathematics, 1997. 6. Al-Humadain Bader, Wavelets using Spline Functions, King Fahd University of Petroleum and Minerals, Mathematical Science Department, 2001. 7. 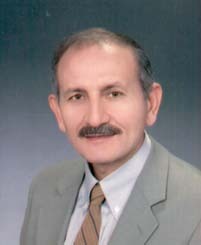 Al-Garni Said Ali Abdall, Volterra Difference Equations, King Fahd University of Petroleum and Minerals, Mathematical Science Department, 2001. 8. Al Zahrani Eaida, Periodic Solutions of Impulsive Differential Equations, Girls College Eastern Region, Dammam, 2001. 9. Al-Lail Muhammad Husain, Transfer Operator, Wavelets, King Fahd University of Petroleum and Minerals, Mathematical Sciences Department, 2002. 10. Yaqoub Moustafa Shehadeh, Impulsive Differential Equations, Ghent University, 2003, Belgium. 1. Akca H., An algorithm for the numerical solutions of second order Euler type differential equations, Proceedings of Numerical Analysis, METU, Ankara, (1983), 58-64. 2. Akca H., Application of discretization methods in oscillation and comparison theorems, Bulletin of Erciyes University Faculty of Science, 2(1986), 371-377. 3. Akca H., The friendship of Sturm and Liouville, Bulletin of Erciyes University Faculty of Sciences, 2(1986), 143-154. 4. Akca H., On the oscillatory type solutions of y““= f(x,y,y‘,y“) and linear multi-step method for the numerical solutions, Pure and Applied Mathematics Sciences, 2(1988), 1-8. 5. Akca H., Mathematical Modeling: The relation among success, work and adaptability of a student, Applied Mathematics Notes Canadian Math. Soc.13(1988), 46-50. 6. Akca H., and Micula G., Approximate solutions of the second order differential equations with deviating argument by spline functions Math. Revue d‘Analyse Numerique, 30(1988), 37-46. 7. Akca H. and Micula G., Numerical solutions of differential equation with deviating argument using spline functions, Studia Mathematica, 2(1988), 45-57. 8. Akca H., Oscillation Criterion for certain second orders differential equations, ICTP, IC-90-286, 1990. 9. Akca H., Mathematical Model: Preserving environment, Journal of Engineering and Sciences, Naval Academia, 25(1990), 35-41. 10. Akca H., and Micula G., Numerical solutions of systems of differentia equations by spline functions Babes-Bolyai University Research Seminar, (1990), 93-104. 11. Akca H., and Micula G., Numerical solutions of differential equation of the order with deviating argument by spline functions, Bulletine of University Baia Mare Serial B Vol. VII,(1991), 47-54. 12. Akca H., and Micula G., Numerical solutions of system of differential equations with deviating argument by spline functions, ACTA Technical Napocensis, 35(1992), 107-116. 13. Akca H., Micula G., and Dag I., Approximate solutions of the second order differential equations with deviating argument by deficient spline functions, Automation Computers Applied Mathematics, 2(1992),87-93. 14. Akca H., Bainov D. and Dimitrova M.B., Asymptotic properties of the solutions of a class of operator-differential equations, Yokohama Mathematical Journal 42(1994), 133-149. 15. Akca H., FORTRAN 77, Students Text Book in Turkish, Akdeniz University Publishing Center, No. 54, 1994. 16. Akca H., Micula G. and Guary U., Continuous approximate solution to the neutral delay differential equations by a simplified Picard’s Method, Studia Mathematica 4(1994), 69-78. 17. Blaga P., Micula G. and Akca H., On the use of spline functions of even degree for the numerical solution of the delay differentia equations CALCOLO 32(1995), No: 1-2 83-101. 18. Akca H., Micula G. and Arslan G., Deficient spline approximation for second order neutral delay differential equations, Studia Mathematica, 40(1995), 85-97. 19. Akca H., Shakhmurov V., and Arslan G., Differential –Operator equations with bounded delay, Nonlinear Study, 2(1995), 179 –190. 20. Akca H., Berezansky L. and Braverman E., On linear integral differential equations with integral impulsive conditions Zeitschrift fur Analysis und ihre Anwendungen 15(1996), No:3, 709-727. 21. Blaga P., Micula G. and Akca H., The numerical treatment of delay differential equations with constant delay by neutral spline functions of even degree, Liberta Mathematica, Vol.XVI(1996), 123,131. 22. Byszewski L., and Akca H., On a mild solution of a semi linear functional-differential evolution nonlocal problem, J. Applied Mathematics.Stoch. Analy. 10:3 (1997), 265-271. 23. Akca H., Step By Step Statistics, Students Text Book, 1997. 24. Akca H., Covachev V., and Litsyn E. (Eds.) Abstract Book of the Functional Differential Difference Equations,18-22 , Antalya, August 1997. 25. Heikkila S., and Akca H., On discontinuous implicit functional differential equations with implicit boundary conditions, Preprint, Mathematics, University of Oulu (1998), 21pp. 26. Byszewski L., and Akca H., Existence of solutions of a semi linear functional-differential evolution nonlocal problem, Nonlinear Analysis, 34(1998), 65-72. 27. Akca H., and Covachev V., Periodic solutions of impulsive systems with delay, differential equations, Functional Differential Equations, No. 3-4. 5(1998), 275-286. 28. Akca H., Maksimov V. I., and Berezansky L., On dynamical reconstruction of a pair “control-trajectory” in a system unresolved with respect to derivative, Functional Differential Equations, No. 1-2, 5(1998), 3-19. 29. Akca H., Berezansky L. and Breverman E., On oscillation of a linear delay integro-differential equation Dynamic System and Applications 8(1999), 219 -234. 30. Akca H. and Micula G., Approximate solutions of the differential equations with delay, nonpolynomial spline functions Bull. Math. Soc. Sci. Math. Vol. 42, No: 4 (1999), 293-300. 31. Ashyralyev A., Akca H., and Guray U., Second order accuracy difference scheme for approximate solutions of delay differential equations, Functional Differential Equations Vol. 6(1999), No: 3-4, 223-231. 32. Akca H., Covachev V., and Litsyn E., (eds. ), Proceedings of The International Conference: Biomathematics Bioinformatics and Applications of Functional Differential Difference Equations, Antalya, July 14-19, 1999. 33. Akca H., and Covachev V., Periodic solutions of impulsive systems with periodic time-dependent perturbed delays, Proceedings of The International Conference: Biomathematics Bioinformatics and Applications of Functional Differential Difference Equations pp: 65-76, Antalya, July 14-19, 1999. 34. Ashyralyev A., and Akca H., On difference schemes for semi linear delay differential equations with constant delay, Proceedings of the Conference TSU: Actual Problems of Applied mathematics, Physics and Engineering, Ashgabat, (1999), 18-27. 35. Ashyralyev A., Akca H., and Byszewski L., On a semi linear evolution nonlocal Cauchy problem, “Some Problems of Applied Mathematics, Edited by Allaberen Ashyralyev and H.Ali Yutrseven, Fatih University, ISBN: 975-303-003-7, 21(2000), 29-44. 36. Akca H. and Heikkila S., On impulsive linear delay differential equations in the ordered Banach spaces, Proceedings of the International conference of “Distributed Systems: Optimization and Economic-Environmental Applications” (DSO’2000), I.I.Eremin, I.Lasiecka, V.I.Maksimov, (Eds.). Publisher: Ural Branch of the Russian Academy of Sciences, Ekaterinburg, (2000), 78-85. 37. Covachev V., Akca H., and Yenicerioglu F., Difference approximations for impulsive differential equations Applied Mathematics and Computation, Vol. 121, (2001), 383-390. 38. Akca H., Covachev V., Periodic solutions of linear impulsive systems with periodic delay in the critical case, Proceedings of Dynamic Systems & Applications Vol. III (2001), 15-23. 39. Ashyralyev A. and Akca H., Stability estimates of difference schemes for neutral delay differential equations, Nonlinear Analysis: Theory, Methods & Applications, 44 (2001), 443-452. 40. Akca H., and Covachev V., Delay Differential Equations: Mathematical Modeling in Medicine and Periodic Solutions of Impulsive Systems with Periodic Delays in the Critical Case, Mathematics and Design 2001: The Third International Conference, Deakin University, Geelong, (2001), 448-461. 41. Akca H., Boucherif A., Covachev V., Impulsive functional-differential equations with nonlocal conditions, International Journal of Mathematics and Mathematical Sciences, 29:5 (2002) 251-256. 42. Boucherif A., and Akca H., Nonlocal Cauchy problems for semi linear evolution equations, Dynamic System and Applications 11 (2002), 415-420. 43. Ashyralyev A., Akca H. and Yenicerioglu F., Stability properties of difference schemes for neutral differential equations, Differential Equations and Applications, Editors: Y.J.,Cho, J.K.,Kim and K.S. Ha, Nova Science Publishers, New York Vol. 3 (2003), 57-66. 44. Covachev V., Covacheva Z., Akca H. and Al-Zahrani E.A., Almost periodic solutions of neutral impulsive systems with periodic time-dependent perturbed delays, Central European Journal of Mathematics, 3(2003),1-23. 45. Covachev V., and Akca H., Periodic solutions of impulsive systems with periodic time-dependent perturbed delays, (submitted). 46. Akca H., Numerical–Analytical method for finding periodic solutions of impulsive differential equations with spline functions, (submitted). 47. Akca H., Global asymptotic stability in discrete analogues of impulsive integro-differential equations with integral impulsive conditions, (submitted). 48. Akca H. Covachev V. and E. Al-Zahrani, On existence of solutions of semi linear impulsive functional differential equations with nonlocal conditions, Operator Theory: Advances and Applications, Vol. 153 (204), 1-11. 49. Akca H., Initial value problems for system of integro-differential equations with impulsive conditions in Banach spaces, (submitted). 50. Akca H., E. Al-Zahrani, On asymptotic stability of an impulsive logistic equation with several delays, (submitted). 51. Akca H., E. Al-Zahrani and Covachev V., Asymptotic behavior of discrete solutions to impulsive logistic equations, Electron. J. Diff. Eqns., Conference 12, 2005, pp. 1-8. 52. V. Covachev, H. Akça and E. Ahmed Al-Zahrani, Periodic solutions of neutral impulsive systems with periodic time-dependent perturbed delays, International Journal Functional Differential Equations, Vol. 10, 3-4 (2003), 441-462. 53. Covachev V., Akca H., Covacheva Z., and Al-Zahrani E., A discrete counterpart of a continuous-time additive Hopfield-type neural network with impulses in an integral form, Studies of the University of Zilina Mathematical Series Vol.17(2003), 11-18. 54. Akca H. and Covachev V. (eds. ), Abstract Book of the International Conference: 2004-Dynamical Systems and Applications, July 05 -10, 2004, Antalya, Turkey. 55. Akca H., Alassar R., Covachev V., Covacheva Z., and Al-Zahrani E.A., Continuous-time additive Hopfield-type neural networks with impulses, Journal of Mathematical Analysis and Applications, Vol. 290, 2(2004), 436-451. 56. Akca H., Alassar R., Covachev V., Covacheva Z., Discrete counterparts of continuous-time additive Hopfield-type neural networks with impulses, Dynamic Systems and Applications, Vol. 13, ( 2004 ), 75-90. 57. Covachev V., Akca H., and Shebadeh Mustafa Y., Periodic solutions of the discrete counter part of an impulsive system with a small delay, Dynamical Systems and Applications, Proceedings, 5-10 July 2004, Antalya, pp 282-294 . 58. Akca H., Covachev V., and Shebadeh Mustafa Y., Survey on functional differential equations and some special type equations and their applications, (submitted). 59. Akca H., Alassar R., Covachev V. and Shebadeh M. Yaqoub, Neural Networks: Modeling with impulsive differential equations, Dynamical Systems and Applications, Proceedings, 5-10 July 2004, Antalya, pp 32 - 47. 60. Akca H., Boucherif A. and Covachev V. (eds. ), Proceedings of The International Conference: 2004-Dynamical Systems and Applications, July 05-10, 2004, Antalya, Turkey. 61. Akca H., and Y.M. Shebadeh, Functional differential equations and modeling with some special type of equations, Applied Mathematics Day, Workshop, March 27, 2005, KFUPM, (Preprint). 62. Akca H., Rational difference equations and applications, Numerical Analysis and Optimization Days, Workshop, KFUPM, December 14, 2004, (Preprint). 63. Akca H., Impulsive difference equations and their applications (submitted). 64. Akca H., Stability of neural networks with time varying delays in the presence of impulses (submitted). 65. Akca H., Discrete counterparts of continuous-time impulsive Hopfield neural networks with finite distributed delays, (submitted).